Descent marks a potential return. Originally released over 20 years ago, the 1st-person spacecraft shooter still leaves a mark of fun, thrilling gameplay in this gamer’s memories. Traveling through compact tunnels, firing lasers and missiles at enemies, and rescuing hostages are just some of many things that made the original game fantastic. 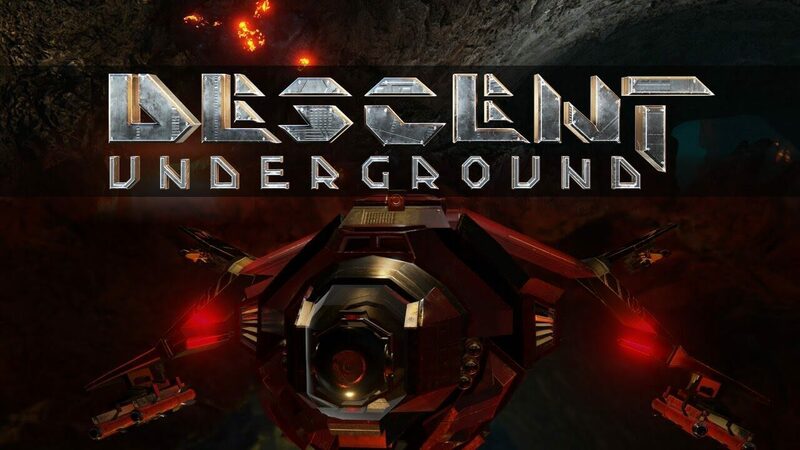 And now, if funded through its Kickstarter page, Descendent Studios will launch Descent: Underground into the current generation of PC games! You can click here to view the page, check its fund status, and donate to the cause. Do you fancy single player missions, where action and puzzle solving will combine to push you from mission to mission, or is it your intent to take to the multiplayer arena and compete or align yourself with other pilots? Either way, Descent: Underground will have something to offer everyone. For those who enjoy joining together with other players in a clan environment, the game will also allow you to create corporations, which include creating a team logo, emblem, and ship color scheme. The game seems truly designed for fans for everyone, including heavy modders and newcomers, not just fans of the original. If you’ve spent the last two decades reminiscing about Descent, here’s a great chance to not only enjoy all the newest game has to offer, but to become an integral part of its development and release. You can view the full details of Descent: Underground here.